As of Oct. 11, 2018, Kansas City mayoral candidates are (top row, from left): Quinton Lucas, Alissia Canady, Jolie Justus; (middle row, from left) Scott Wagner, Rita Berry, Phil Glynn; (bottom row, from left) Jermaine Reed, Steve Miller, Scott Taylor. Updated at 10:45 a.m., October 2, 2018: The election is nine months away, but candidates have lined up to replace Kansas City Mayor Sly James when he leaves office in 2019. James is term-limited and cannot run when his current term ends next year. Nine people are in the race, including six current city council members. Others are rumored to be considering a run. Here's a list of everyone who has either formally announced or formed a campaign committee. This list is in alphabetical order. We'll update it as more candidates announce. Rita Berry — Berry is a Kansas City businesswoman. A former general manager at gospel station KGGN 890 AM, Berry now spends much of her time volunteering at her church, helping young mothers learn to manage their finances while they get a degree. Berry says helping out with her family's funeral home business has given her a firsthand view of Kansas City's devastating gun problem. She says as a non-politician, she puts people first. According to the latest campaign finance report, Berry had zero cash on hand. Alissia Canady — Canady is a first-term Kansas City councilwoman, representing the 5th district in the south and east parts of the city. She is currently a private attorney. Previously, she was an assitant prosecuting attorney for Jackson County. Canady is running on an initiative to promote equitable economic development in all parts of Kansas City and increasing funding for mental health programs. According to the latest campaign finance report, Canady had $28,532 cash on hand. Phil Glynn — Glynn owns a small business in Kansas City's Crossroads District that finances and supports housing and development projects in American Indian communities. Glynn was previously a member of Kansas City's TIF commission, which awards incentives to developers, but he was removed after he voted against a plan to approve incentives to build the BNIM headquarters in the Crossroads. According to the latest campaign finance reports, Glynn had $65,309 cash on hand. Jolie Justus — Justus is in her first term on the city council, representing the Fourth District. She has also served eight years as a Missouri state senator and is director of pro bono services at the Shook, Hardy & Bacon law firm. Justus initially entered the race last year, but withdrew after Jason Kander announced he was running in June. After Kander's surprise withdrawal in early October, Justus re-entered the race, admitting in a news release that she was disappointed to have suspended her original campaign but believed it was "best for Kansas City." 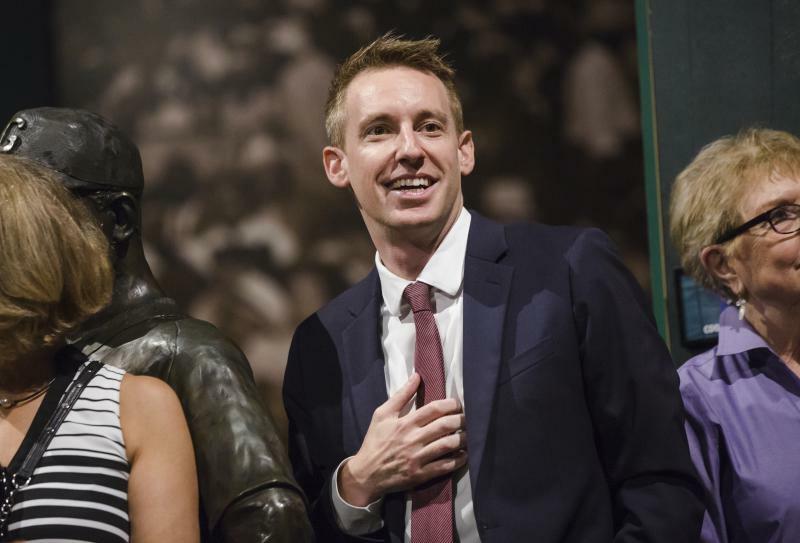 Since Kander's exit, she said, "After talking it through at length with my wife, I've decided that I can best serve Kansas City as its next mayor." Quinton Lucas - Lucas is in his first term on the city council, representing the Third District in the east part of the city. He is currently a private attorney and teaches at the University of Kansas School of Law. In 2016, he sponsored an ordinance that caps tax incentives for developers, with exemptions for distressed areas determined by the city. He has also been behind efforts to motivate developers to build more affordable housing. Lucas has $186,965 cash on hand, according to the latest campaign finance report. Steve Miller — Miller is an attorney in Kansas City. He previously served as chairman of the Missouri Highways and Transportation Commission, where he oversaw billions of dollars in infrastructure projects, even as the Missouri Department of Transportation saw significant budget cuts. According to his website, Miller is focused on improving the city's infrastructure, including the streetcar expansion. Miller's latest campaign finance reports shows $222,455 cash on hand. Jermaine Reed — Reed is in his second term on the Kansas City Council, representing the city's 3rd District. First elected in 2011, he became the youngest person to serve on the council. Reed also serves on the board for the National League of Cities. He's spent much of his time on the council advocating for Kansas City's historic 18th and Vine District, where he lives. He also pushed a measure to ban employers from asking about criminal history on job applications. According to the latest campaign finance reports, Reed has $76,401 cash on hand. Scott Taylor — Taylor is in his second term on the Kansas City Council, representing the 6th district in south Kansas City. He’s a private attorney. Last year, Taylor introduced a “Revive the East Side” campaign aimed at increasing jobs and economic development in neglected parts of the city. He was a vocal opponent of Edgemoor, the developer selected to build the new terminal at KCI; Taylor supported Burns and McDonnell for the project. As of his last campaign finance report, Taylor had $306,982 cash on hand. Scott Wagner — Wagner is currently Kansas City’s Mayor Pro Tem. He is serving a second term on the city council, representing the 1st district in the Northland. He is a small business owner with background in marketing and public relations. Over the last year, Wagner has worked to implement a rental inspection program to help renters who live in unsanitary or unsafe conditions. That issue became the subject of a citizen initiative petition after it failed to advance in council. He has also taken a role in the city's effort to exert greater oversight of the troubled American Jazz Museum. Wagner’s latest campaign finance report shows $17,762 cash on hand. Third District Councilman Quinton Lucas is entering the crowded race to be Kansas City, Missouri’s, next mayor. Lucas is the sixth current city council member to announce a mayoral bid, and the ninth person to enter the race. Another member of the Kansas City Council has entered the crowded race for mayor in 2019. 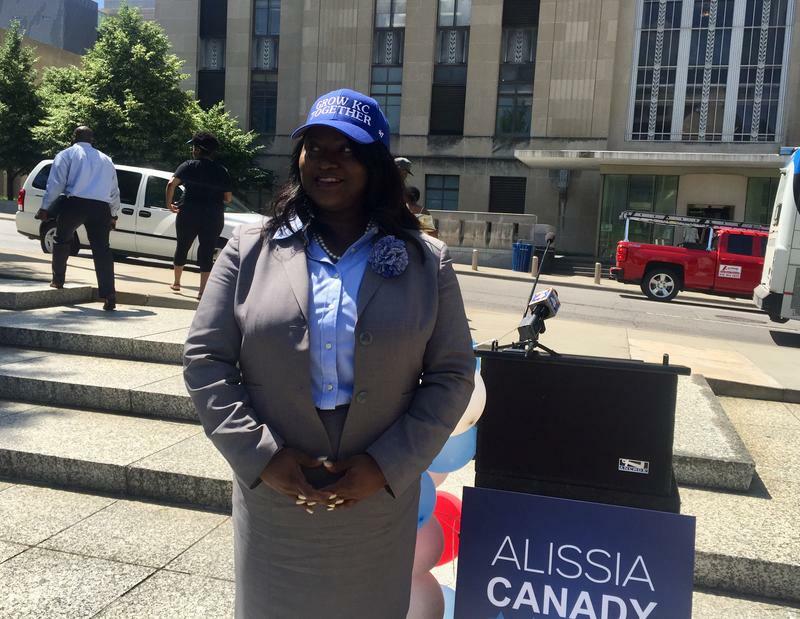 Councilwoman Alissia Canady, who represents the city’s 5th district, announced her mayoral bid in front of family and religious leaders Tuesday morning at Ilus Davis Park, just north of Kansas City, Missouri, city hall. Canady said she looks up to Ilus Davis, who was Kansas City mayor from 1963 to 1971. 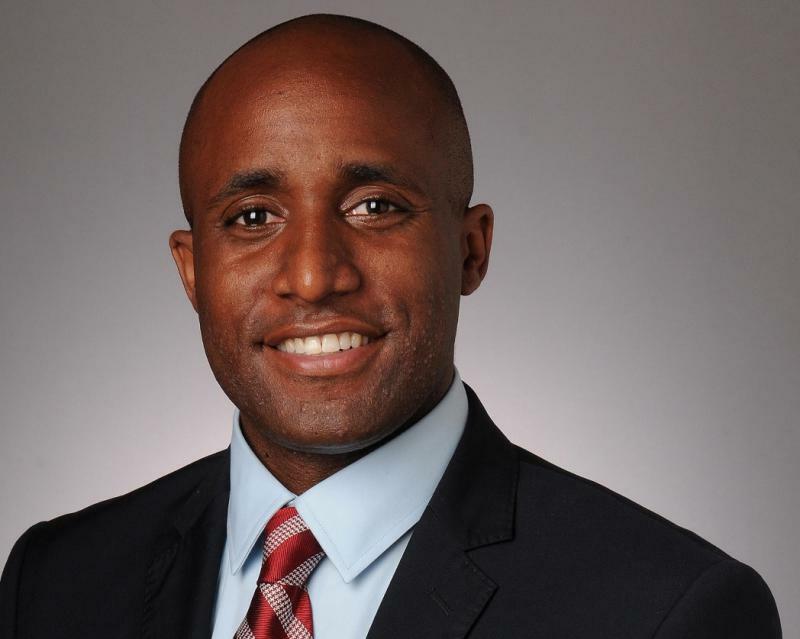 “Mayor Davis … used his position both as mayor and lawyer to uplift Kansas Citians with diverse backgrounds, so I’m not alone in this undertaking,” Canady said.